Bob Seger could use your help. 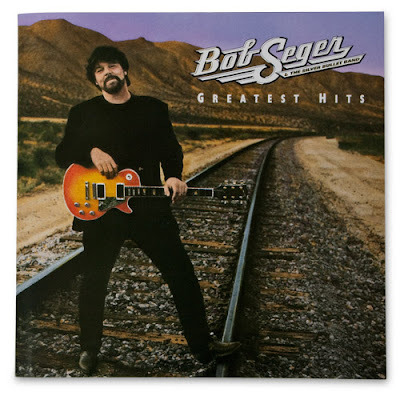 WXYZ-TV Detroit reports a priceless guitar has been stolen from Seger’s home. It’s a 1978 Gibson electric guitar and it's the one Bob is seen holding on the cover of his classic "Greatest Hits" album (image above). Orchard Lake Police say the guitar was stolen sometime between early August and early October, while the Segers were moving from one house to another. Also taken was a size 22 autographed Shaquille O'Neal tennis shoe, a Wii gaming console and a Pandora bracelet with music charms. Police say they are checking pawn shops, music stores and the internet but they need help. They say the guitar might be worth $8,000 to $10,000 if sold, but to Seger, it's priceless. If you have any information on any of the items, please call the Orchard Lake Police Department or Crime Stoppers at 1-800-SPEAK UP. Seger is currently on tour across America.